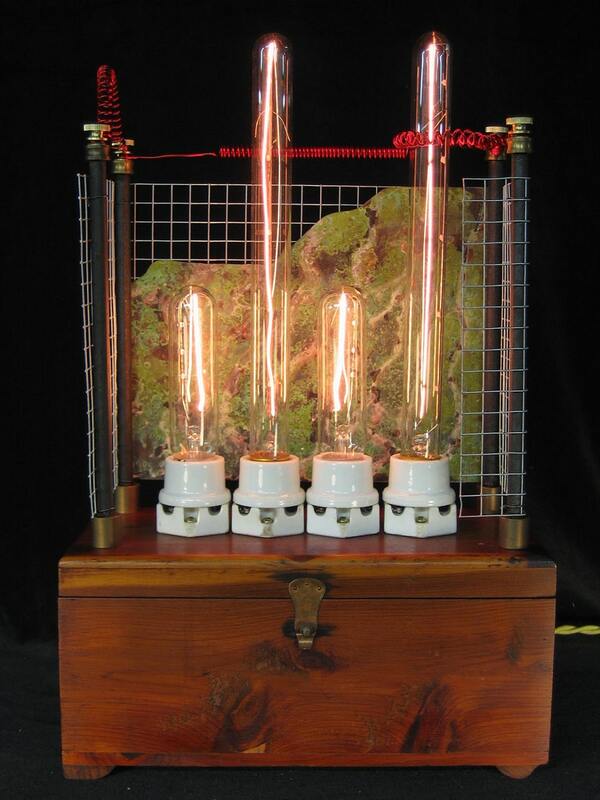 This is my Steampunk lamp Diabolical Box #25. The box is an vintage cedar chest. The bulbs mount in vintage porcelain sockets. I put a special green patina on the copper plate in back of the bulbs. Bulbs are included. The lamp has a dimmer in the back. The dimmer allows you to lower the bulb intensity down to an eerie glow. Base: 12” X 5 3/4"